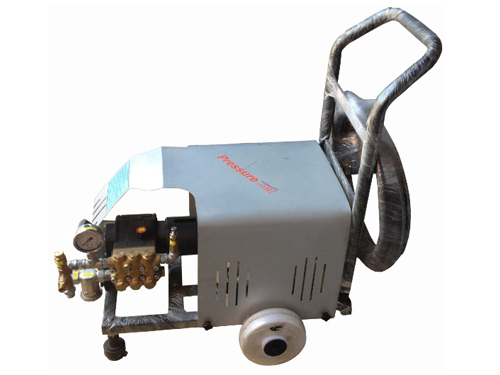 Nowadays, wet sand blasting by high pressure water jet pump has got wide acceptance in the field of surface preparation as well as in paint removal & rust removal. In wet sandblasting, an abrasive material is mixed with the water jet to create an abrasive spray. This abrasive spray is blasted on the surface, which breaks away small pieces of undesirable coating corrosion or other undesirable substances to create the desired metal finish, perfect for re coating. Wet sand blasting is widely used in engineering, heavy engineering, fabrication, construction and many other industries for different applications. 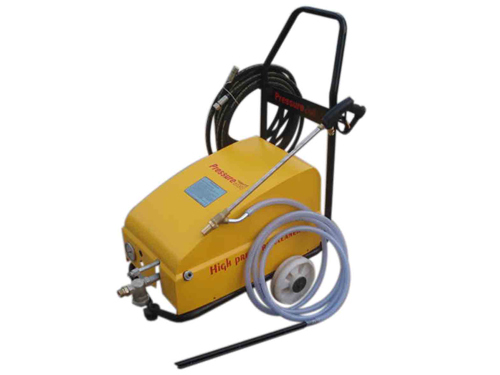 Power washers with a wet sandblasterkit are the best choice for industrial users who require powerful pressure washer water sandblasting capabilities. 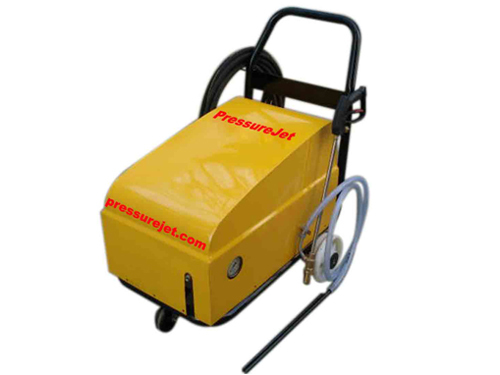 For even greater versatility, these power pressure washers can be used with a variety of sand grit sizes and media types like baking soda or plastic pellets. The higher the grit that is used with the machine the more abrasive the sandblasting action will be. Cost (Rs.) 1 Rs. 1.30 Rs. 0.7 Rs. 1.6 Rs. 0.3 Rs. Cost (Rs.) 1.32 Rs. 2.75 Rs. 0.90 Rs. 27 Rs. 1.32 Rs. Cost (Rs.) 0.78 Rs. 1.44 Rs. 1 Rs. 1.8 Rs. 1.6 Rs. Cost (Rs.) 0.3 Rs. 0.3 Rs. 0.3 Rs. 0.3 Rs. 0.3 Rs. Total cost (Rs.) / m2 3.42 Rs. 5.79 Rs. 2.95 Rs. 6.4 Rs. 3.55 Rs. Because of the water ingredient, it will not create any environmental pollution problem caused by fluttering the micro power. It can remove the burrs (surface projections) & scales formed on surface and clean the surface without damaging the work piece. The surface finishing can access a homogeneous matte finish (spot pattern). It can contribute significantly to the finishing demand for surface roughness. It only applies small shot blasting effect to the surface to be finished and improve and reinforce the material of work piece. The foreign materials after being removed will be rinsed and flushed out by the jet of water. It doesn't require any chemical during operation. It doesn't affect the dimensions of the object. Anti rust inhibitor is to be used after cleaning of ferrous material. Though water consumption is not too high, it is to be taken in to account to dispose it off or recycled. The surface roughness is more than dry sand blasting.